Zarelli Landscaping, Inc. is a landscaping company located and servicing Chester County, PA. A family-owned business that was founded in 2003, Zarelli Landscaping offers the following services: landscaping, hardscaping, low-voltage outdoor lighting, custom patio design, walkways, outdoor living areas and installation projects. 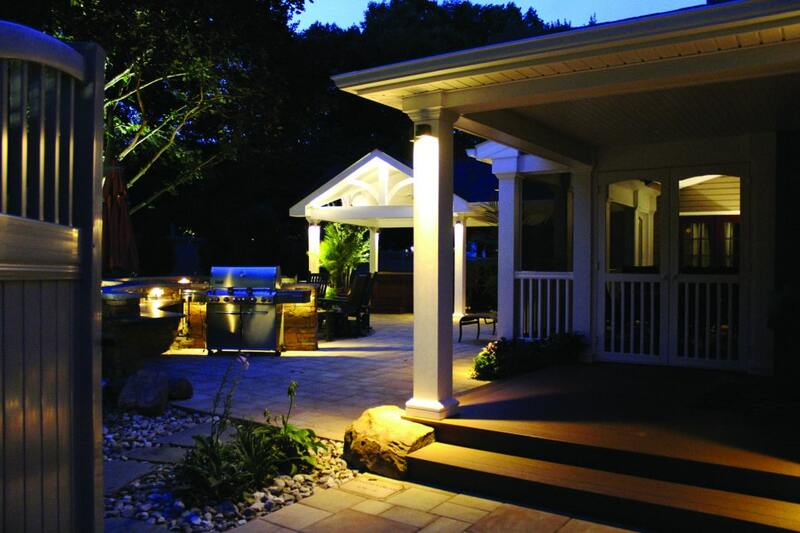 Whether you’re looking for a spring clean-up, mulching, mulch delivered or a whole new outdoor living area with a firepit and kitchen, Zarelli Landscaping in West Chester is the landscaper to call. We are the landscaper trusted by residents in Villanova, Berwyn, Paoli, Malvern through Exton, Downingtown, and West Chester PA.
As a landscaping design & build firm dedicated to making imaginations a reality, Zarelli Landscaping strives to provide the utmost excellence from customer service to delivering top quality services. We DESIGN your dreams, we INSTALL your dreams, and we MAINTAIN your investment. Building long lasting relationships is our priority. We are big enough to handle all your property needs, while being small enough to know you. If you are in Chadds Ford, West Chester, Malvern, Exton, Downingtown, Chester Springs, or in Chester County, we can help. Zarelli Landscaping has deep roots going back 4 generations in West Chester, PA. Marc Zarelli’s great-grandfathers were masons that worked on several churches & cathedrals in Philadelphia in the 1920’s. Marc’s grandfather built, developed and maintained hundreds of apartments (Rose Hill Apartments) in the 60’s & 70’s, housing developments and commercial office rental spaces in the 80’s. His father’s concrete company installed over a million yards of concrete in the 80’s and early 90’s. His uncle runs an excavation company (Pete Zarelli Excavation). Marc established his business when he was a sophomore at Henderson High School in 2006. Marc’s home atmosphere was constantly filled with the construction business. Since the age of 3, Marc has loved the garden and the outdoors and he furthered his education at Delaware Valley College for Horticultural and Planning degrees. Forever expanding and growing his landscaping business, Marc has been developed both a good management team and a production team. He truly understands that one man cannot service his clients adequately. The management team consists of several customer service representatives, a design leader/project manager, an office manager and an assistant. All team members have the understanding of and experience in the landscaping industry. Zarelli’s management, design and sales team’s experience dates back to the early 70’s and covers new construction (commercial and residential) along with residential renovation and service. The office staff has over 25 years of experience in financial accounting and customer service. The most important part of a landscaping company is the production staff. The production staff varies in size throughout the year, but has several crew leaders that have been with the company for several seasons. The lawn maintenance crew has been consistently reliable and operates under the direct supervision of Marc himself. They are responsible for commercial retail and apartment complexes and small to large residential properties and have varying equipment specialized for every requirement needed to provide quality professional performance. The garden maintenance crew is responsible for home owners association and commercial/residential maintenance. This includes weekly weeding, annual spring/fall mulching, leaf removal and all other aspects of landscaping. Zarelli has created a prescheduled “complete maintenance package clients” for individual home owners. The hardscaping team is directly supervised and managed by the design leader and project manager. Zarelli’s field install team consists of a foreman, mason and laborer. Some of our other trade experience is in carpentry and construction management.